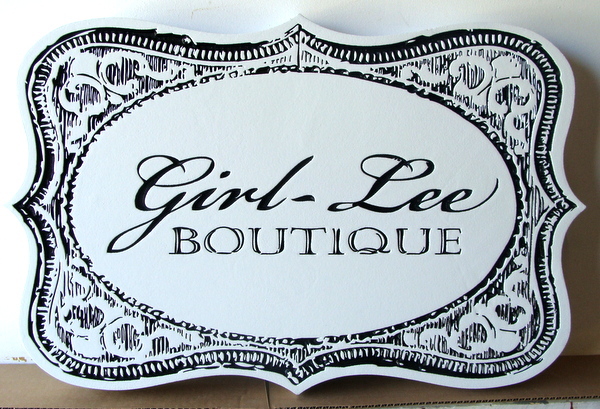 Above is a unique and elegant engraved sign for a boutique. The High-Density-Urethan substrate is engraved with our Computer-Controlled router to produce the intricate lace-like pattern and script text. The engraved areas are then painted black, and the entire sign is clear-coated twice. This sign can be mounted inside or outside, on a wall or hung from a scroll bracket.